I have built this chart using the ChannelPattern script. 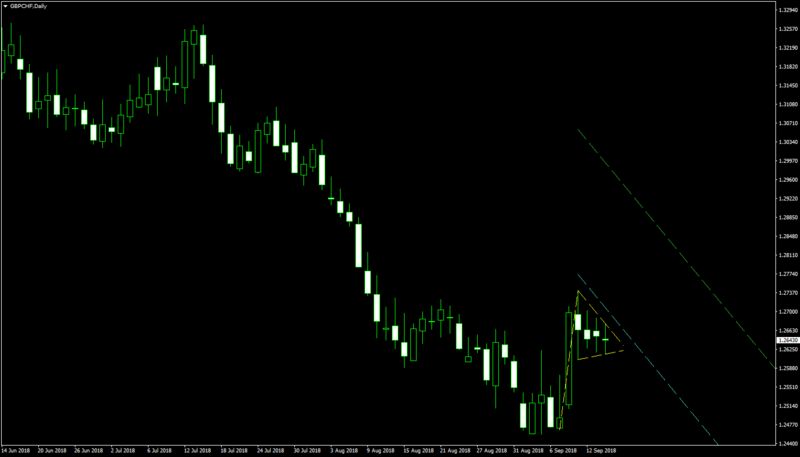 You can download my MetaTrader 4 chart template for this GBP/CHF pattern. 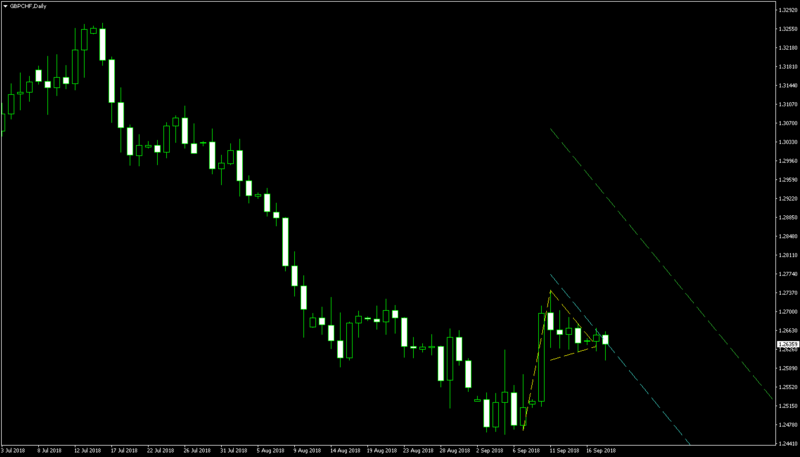 You can trade it using my free Chart Pattern Helper EA. 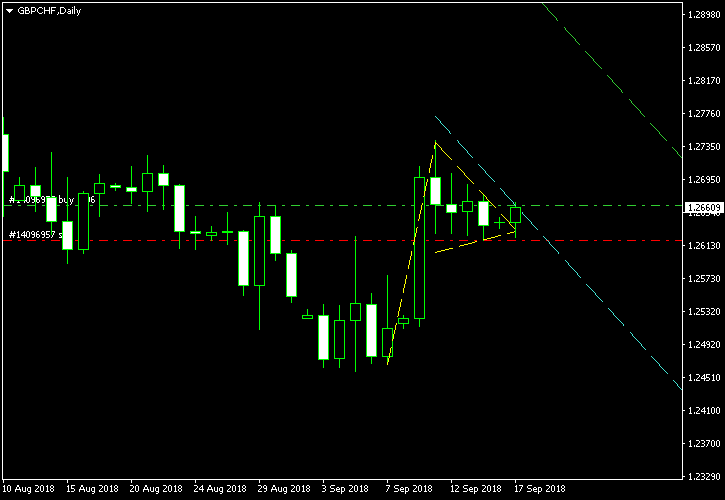 Update 2018-09-17: The pennant had been broken and my entry has triggered at 05:56 GMT today. The long position opened at 1.26633 with stop-loss at 1.26202 and take-profit at 1.29491. 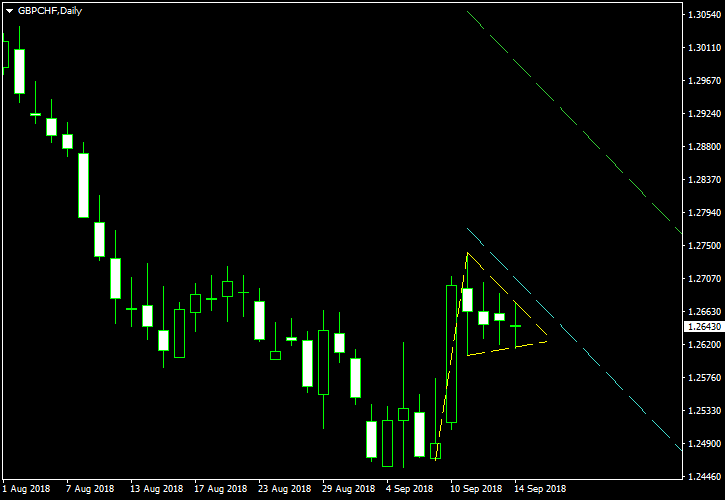 Although the risk-to-reward ratio here is very nice, the breakout itself is very weak — the currency pair can easily revert to the pennant’s range. Update 2018-09-18 11:55 GMT: The breakout activity was not right at all in this case. 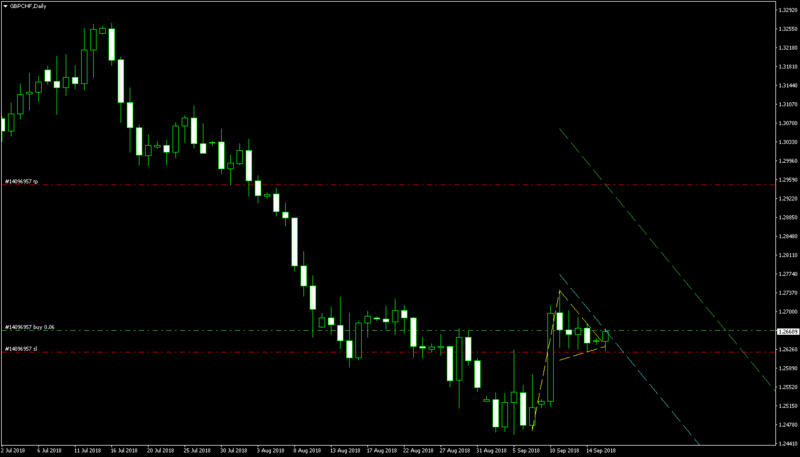 The stop-loss has been triggered just some 3 hours ago at 1.26202. 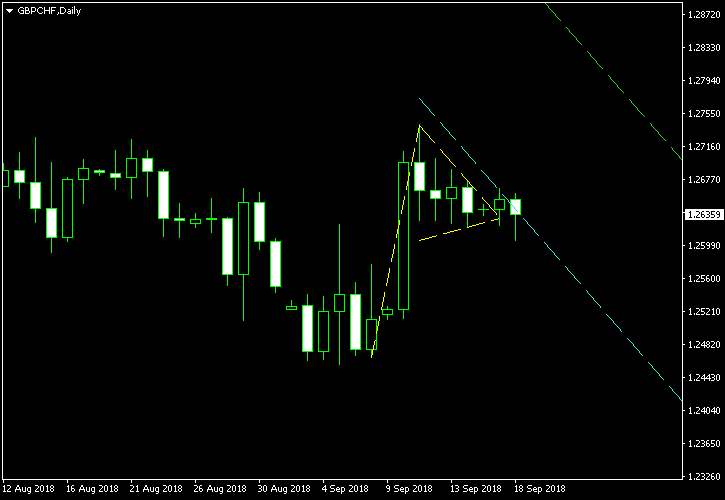 If you have any questions or comments regarding this bullish pennant on the GBP/CHF chart, please feel free to submit them via the form below.